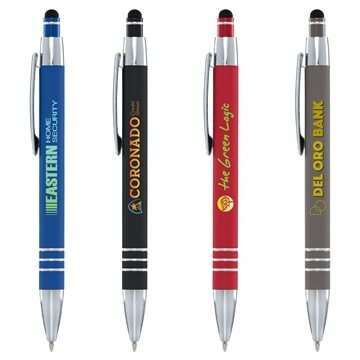 The Montecito Softy metal ballpoint pen features a chrome trim and accents, and a rubberized soft-touch finish barrel, for a modern look and feel. More than a writing instrument, the retractable plunger features a stylus for use on touchscreen devices. 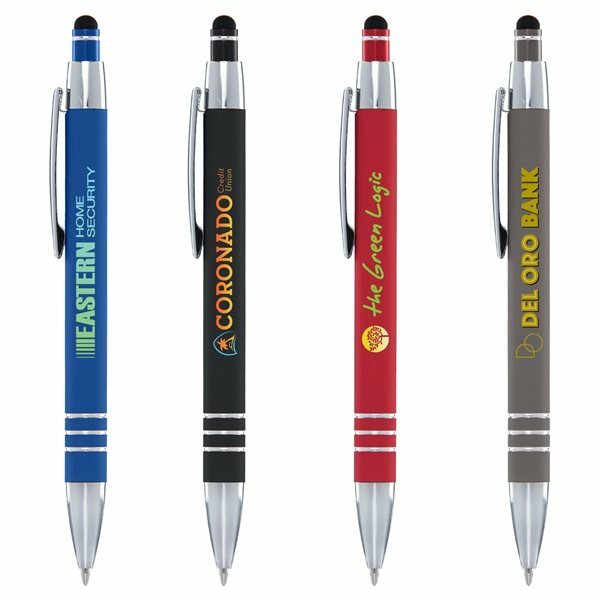 Customize with a full color direct imprint (ColorJet technology).